Our company is a reliable name in this business and is indulged in presenting an enormous quality range of Sanitary Pad Vending Machine to our clients. 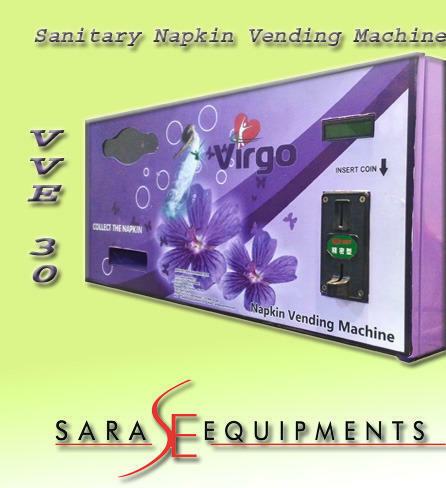 This Sanitary Pad Vending Machine is admired by our clients for its premium quality and optimum performance. Additionally, we offer these products at market leading prices. 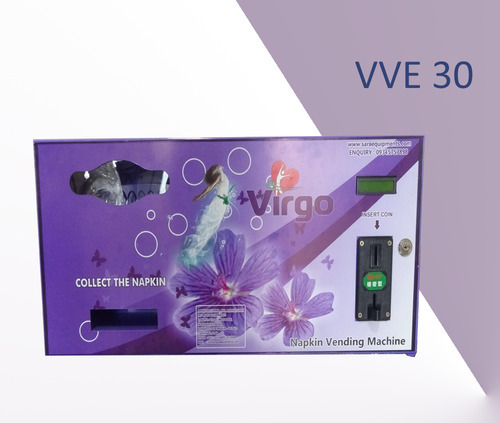 We are making hard effort to provide a High Quality range of Sanitary Napkin Vending Machine with minimal Price to respected customers. We are having high quality team of engineers. Quality conformed on various parameters. 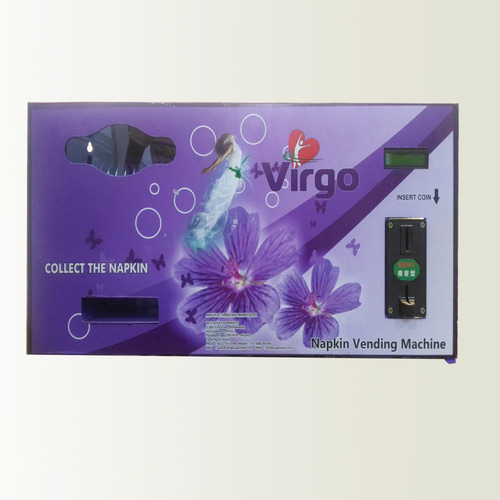 Virgo Sanitary Pad Dispenser is a state of art, two selection fully automated, electronic vending machine with exclusive features like multiple coin acceptance, product customizable and also programmable for new coins etc. 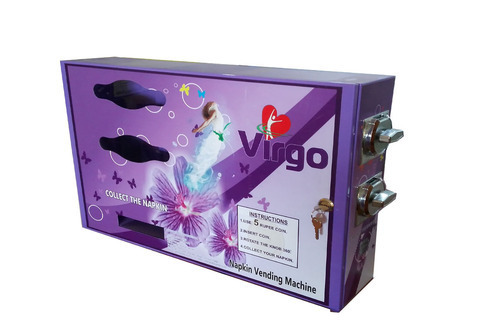 Virgo Sanitary Pad Vending Machine is a state of art, two selection fully automated, electronic vending machine with exclusive features like multiple coin acceptance, product customizable and also programmable for new coins etc. We are making hard effort to provide a High Quality range of Automatic Coin Operated Napkin Vending Machine with minimal Price to respected customers. We are having high quality team of engineers. Quality conformed on various parameters. Looking for “Sanitary Pad Vending Machine”?